Hi everyone, hope you had a fantastic week. Let’s jump tight into the subject of today, we will talk about partial dentures. 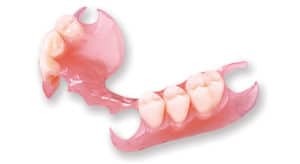 Partial dentures are a removable, dental appliance that helps regain the form and function of the patient’s jaw by replacing one or more missing teeth. Partial dentures are often made from different materials such as metal and acrylic. What most patients look in their partial dentures is that they look and function just as natural teeth . This will depend on an initial evaluation made by the dentist, the patient’s needs and their budget. Here at Dental Solution Los Algodones have an excellent staff trained and studied perfect for attending any dental need that you may have. Including making partial dentures. 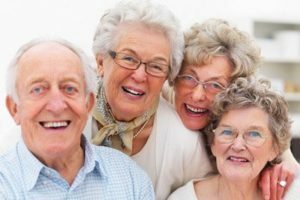 Why some patients need to use Partial Dentures? Partials denture will keep the underlying structures of your entire mouth, including gums, jawbone, and facial muscles active and engaged as they should be. It will help to prevent further shifting of the remaining teeth in your mouth, giving you a beautiful smile. For starters partial dentures are a less-invasive option than other procedures such as dental implants. Apart from this they are much less expensive than other options too. They are the perfect blend of affordability and quality for replacing missing teeth. Keep in mid to keep you partials clean so they stay in shape for a log time. Can I eat with my partial dentures? Partial dentures are in fact, a tool designed to give you all function of natural teeth. It may be difficult to adapt at first but practice makes perfect. You will able to enjoy all the activities in no time, but it takes some baby steps in the beginning. Star with soft foods and gradually advance to solids. You should not have any problem at all, if you feel any discomfort, please contact your dentist. Can I sleep with my partial dentures on? The short answer is no. you should not sleep with your partials denture in place. Sleeping with partial dentures is not recommended for various reasons. Remember that partials are designed in a way that they should be cleaned outside of your mouth. This is because they do not offer any space for food debris to get stuck. Meaning that sleeping with a dirty partials denture will only get you at risk of getting diseases or damaging your gums and remaining teeth. Keep in mind that proper dental hygiene is vital for a beautiful smile. If you want to get the best partials in Los Algodones come to Dental Solutions, we will be gladly expecting for you.